Crew Resource Management, also known as Cockpit Resource Management, or CRM, is a cockpit management concept that involves a pilot's thorough use of all available resources, both inside and outside the cockpit. Crew resource management emerged in the late 1970s in response to NASA accident investigation research. The research NASA had done at the time focused on the human error element involved in aircraft accidents with multiple crews. NASA researchers found that deficiencies in interpersonal communication skills, decision making and leadership in the cockpit were the main causes of various accidents, so they put together a program to encourage teamwork and resource management. In the 1970s, much of the focus of CRM was on the pilot/copilot relationship. It seemed that there were some airline captains that thought very little of their co-workers. There were also many first officers that didn't feel like they could stand up to their captain when they didn't agree with his or her actions. Captains were put on pedestals and inferior pilots felt it was disrespectful to question them. This created a workplace atmosphere that was not conducive to teamwork and led to many accidents. The purpose of CRM at this time was to gain an environment of equal respect, teamwork and cooperation to safely accomplish the mission of the flight. Later CRM models followed similar teachings but also incorporated better decision-making skills overall. Error management became the focus of late CRM training modules. Safety statistics dictate that humans are the main source of error; therefore, pilots must learn to recognize potential errors and control errors when they do occur. Most recently, CRM has evolved into teaching pilots risk management strategies, focusing on workload management, recognizing hazardous attitudes or patterns, maintaining situational awareness, and communicating effectively to operate efficiently and safely in all aspects of flight. Today, CRM is an essential part of any flight department's training and a critical piece of knowledge in an airline pilot's career. All professional pilots are trained in CRM, and the focus remains on specific concepts such as aeronautical decision-making, risk management, leadership, and error management. Decision-making: All pilot are involved in decision-making during flights. Whether they make the right decision or not depends on how much information they have at their fingertips. CRM teaches pilots to seek out all available resources when making a decision, and not to do it alone. Pilots can utilize the help of other crew members, flight attendants, ATC, weather reports, and these days, they can even call their maintenance department over the phone or radio.CRM teaches pilots to act calmly and appropriately instead of out of fear or impulsiveness when decisions need to be made. Pilots should recognize their own hazardous attitudes that might interfere with good decision-making and manage risk appropriately. Risk Management: Pilots are now being taught that the only way to prevent risks associated with flying is to manage them appropriately. This involves knowing the risks, to begin with. Pilots manage risk by knowing that they carry personal risk such as fatigue, illness or stress, to work with them. In addition, there are environmental risks, such as weather or operational policies. There are performance risks based on how heavy the aircraft is loaded, if the runway is wet, etc. Pilots can't control these risks, but they can manage the outcome by knowing their own limitations, aircraft limitations, company limitations, etc. Leadership: A good leader is hard to find, but CRM can teach pilots to recognize good and bad leadership traits, which they can appropriately implement or avoid, respectively. It didn't take long for industry players to realize that there are, in fact, benefits to CRM training in a crew environment. The next obvious thing to do was implement the same concepts elsewhere. Many of the concepts presented in CRM would also prove to work for single-pilot operations. Single-pilot resource management (SRM) has now made its way into the light aircraft industry and is a valuable training tool for single-pilot IFR operations, especially. There are advantages and disadvantages to single-pilot operations. First, as the sole occupant of the cockpit, a single pilot has nobody to argue with. They also have nobody to bounce ideas off of and nobody to help in an emergency. Single pilots must look elsewhere for resources, and they need to know how to do it efficiently and without losing situational awareness, especially with the advancements in technology that have been abundant recently. 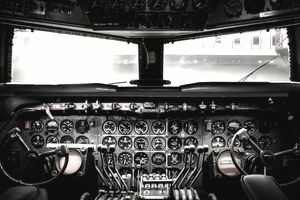 These modern cockpit devices in technologically advanced aircraft (TAA) can be very helpful to single pilots in IFR conditions, but only if they learn how to use the equipment.